You know what annoys me? When people - often non-Scottish ones - ask me if I have ever had a deep-fried Mars bars. The way that this myth - yes, MYTH - has spread around the world, you would think that the Scottish people eat one every day and that every local chippy has it on their menu. The answer is no: I have never had a deep-fried Mars bar nor have I ever seen a single person eat one and nor have I ever seen it on a menu. People, listen up: the deep-fried Mars bar is mostly an urban legend. The fact is, if you take any sort of food into a chippy shop and ask them to deep-fry it for you, they will. 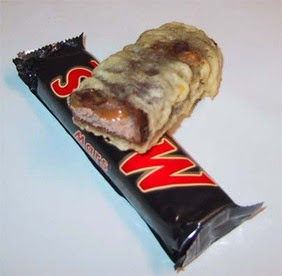 No doubt that at some point in recent years desperate Scots, looking for some extra grease, have ordered a deep-fried Mars bar but honestly, I don't know a single Scottish person who eats them. The only people that you find asking for a deep-fried Mars bar are tourists, who seem to think that it's a Scottish dietary staple. Now, if you ask for a deep-fried pizza or sausage supper, that's more authentic! In a study published in The Lancet in December 2004, David Morrison (Greater Glasgow NHS Board, UK) and Mark Petticrew (MRC Social & Public Health Sciences Unit) surveyed around 300 Scottish fish and chip shops: 22% sold deep-fried Mars Bars; three-quarters of the shops had only been selling them for the past 3 years. Average sales were 23 bars per week, although 10 outlets sold between 50 and 200 bars a week. The average price per bar was 60 pence, and perhaps unsurprisingly, the younger generation were the main purchasers--three-quarters were sold to children and 15% to adolescents. That study is 5 years old and if you notice, more than half of the shops had only been selling them for the past 3 years - the same time that the whole media hype for deep-fried mars bars started! 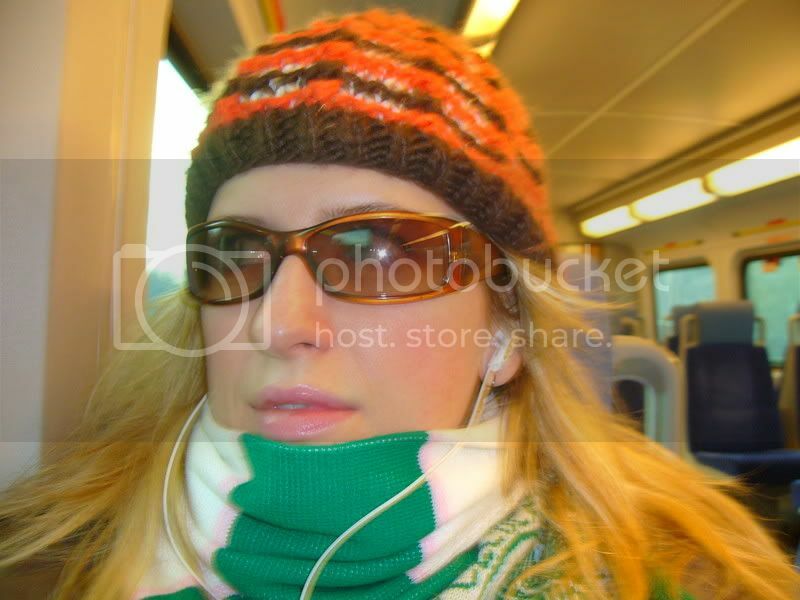 Since 2004, I would wager that sales for them have gone down drastically. Seriously, who is buying them (other than tourists) because I don't see kids eating them??! Next time I go into a chippy, I will personally ask! Here is Southern California at the fair every year you can get more and more fried things that are best left alone. Last year (for no reason beyond beer) I tried deep fried avacado... lets just say that is a craze that will not cacth on even with tourist! I've had a deep fried Mars bar! There's a chippie in St Andrews called PM's that sells them - or at least they did when I lived there in 2003. I sampled a deep-fried Mars bar back in 1999 which is when I remember the whole deep-fried confectionery kicking off. I have a legendary sweet tooth but it was too much even for me. They just took one off the shelf, battered and fried it. I don't know anyone else who's tried one. Well, now I am determined to find a chippy with it on the menu and eat one. How touristy! It's never on the menu! Just ask any chippy to do you one. Katie, the Kinness Fry Bar in St Andrews used to sell them, too, in the mid-90s. I had a deep-fried bounty there once... I seem to remember it all started with one chippy (in Fife?) around that time - it got loads of media attention and then other chip shops started doing them.